Unlock your photography potential with a free workshop hosted by Jay Collier at two Melbourne kid-friendly hot spots between August - October 2017. 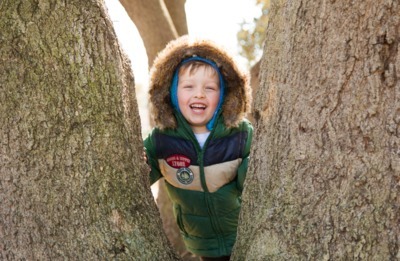 These outdoor classes are designed for you to get the most out of your camera and allow you to dramatically improve your photography skills to capture your children in action. Canon Collective Ambassador, Jay Collier, has designed these photography workshops specifically for Melbourne parents. Learn more about your camera's functionality and therefore how to take better photographs of your kids. Workshops will take place at Booran Reserve in Glen Huntly, Thomas Street Reserve in Hampton Park, Merri Park in Northcote and at the much-loved Collingwood Children's Farm. In Jay Collier's free photography workshop you will learn critical settings of your camera and techniques to ensure every photo is a great one. Discover how to best capture creative photos of your kids in action, and learn how to understand light and composition. If you don't have a Canon camera, one will be supplied for you to use on the day. NOTE: Bring your own children to photograph for these photography sessions. Guests who arrive without a child to photograph will be unable to join the event or photograph other children.